The support of diverse academic needs and learning styles is a critical part of our educational program. Support staff identify and work with children who are in need of additional support or in need of enrichment. 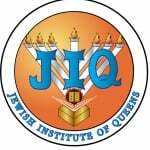 JIq’s Administrators and Faculty form relationships with students beginning with a student’s initial interview and continuing through graduation. This relationship is fostered during the years of a student’s education at jiQ. We accommodate children with different academic abilities through both modifications in the classroom and also through “pull-out” support. Qualifying children may receive support outside the classroom in both General and Judaic Studies. Support staff work collaboratively with classroom teachers to design, implement, and evaluate modifications in instruction and assessment. Staff members are also available to assist parents and families. Our aim is to help each student work independently in the classroom and to enhance self-esteem by providing varied opportunities for success. Many children require accommodations to succeed in the classroom. For a child with attention difficulties, for example, these might include: frequent breaks, a behavior modification checklist, or permission to use a “fidget.” For a child with Asperger’s Syndrome or a nonverbal learning disability, these might include: breaking down a task into its component steps, alerting a child to transitions in the day’s schedule, and/or modifying demands for copying from the board. The school also provides limited English language tutoring for students knowing little English and we modify assignments as needed.